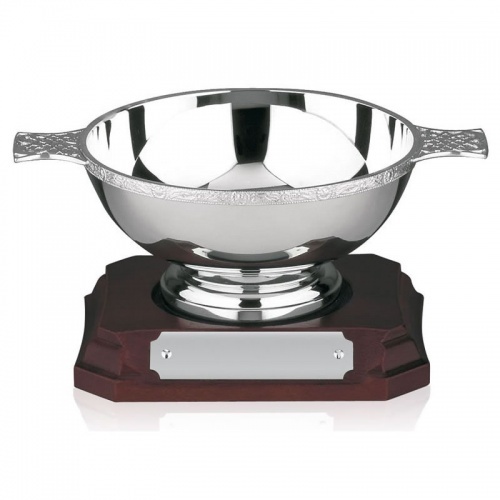 This 8in tall traditional quaich bowl makes a distinctive trophy for achievement awards, recognition awards or general sports awards. 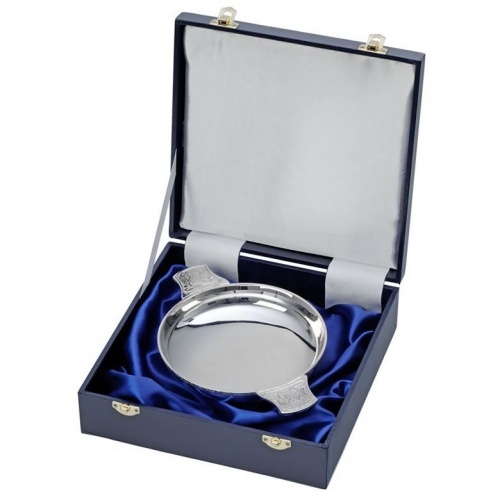 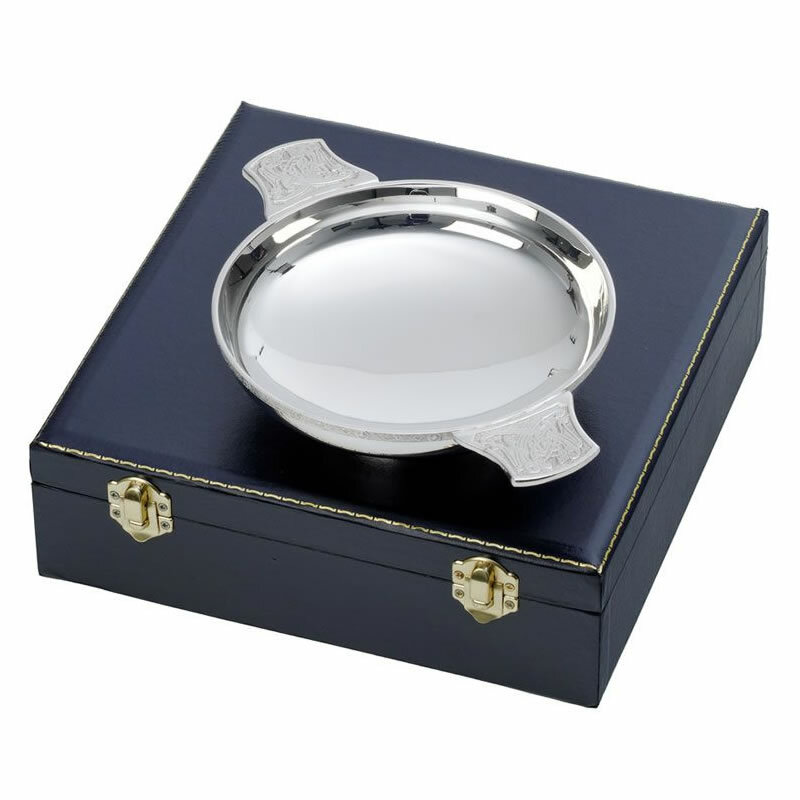 It is supplied complete with a deluxe, fully-lined presentation case as shown in our images. 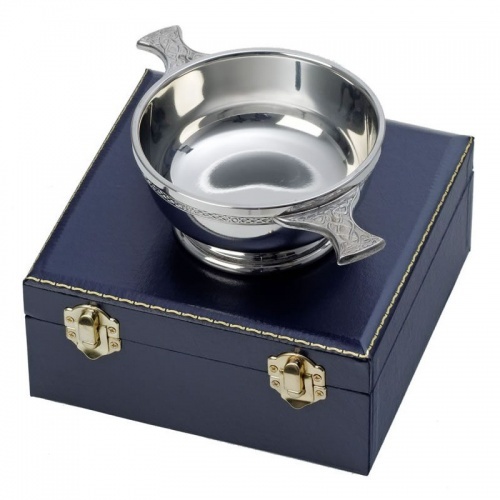 An optional dark wood base with engraving plaque is also available to buy online with your quaich trophies.